Cammy Bean's Learning Visions: What should elearning look like? 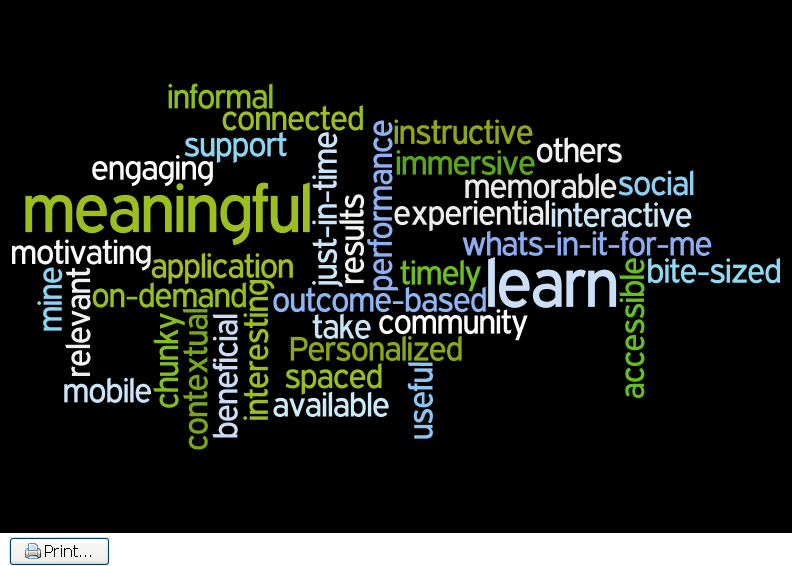 What do today's learners expect from an online learning experience? What do you expect? I pinged my PLN and came up with these descriptors. What would you add?